Louisiana is facing a monumental election this fall, monumental because once again we will be asked to make a decision on whether we accept mediocrity or whether we are finally ready to take advantage of all of our incredible assets and make prosperity our state’s goal. “What-If” prognostications have always held a fascination for me because life is so complex and yet a few simple decisions have been shown to result in incredible outcomes. Whether we like the outcomes or not simple, sometimes narrow political decisions drive our lives and our future. When looking back, a decision to engage in Vietnam (by Democrat leadership) and Afghanistan (by Republican leadership) has meant decades of war. Even though its promises are now recognized as impotent, a unilateral Democrat Congressional decision to implement Obamacare has resulted in the demise of private health insurance and massive problems for middle class citizens. A decision to reach the moon in a decade (by a Democrat leader) opened up incredible scientific advances leading to our modern world. Simple decisions can lead to life-altering consequences, some predictable, some not. In line with that logic the decision that Louisiana’s voters will make in the fall as to who will be their next Governor could be equally life-altering in positive way, or not. The consequences of this decision are, with a great deal of confidence, highly predictable. A little foundation; we all are very aware that we a state full of poor people, a state whose government outcomes rank at or near last in every category. We are a state suffering out-migration of our young people, a state where our incomes are low and our options for upward mobility equally meager. In the fall, one of two scenarios will occur; we will re-elect Democrat John Bel Edwards as governor or we will elect a new person from the Republican side. The result of this decision will not only impact Louisiana for the next four years but perhaps for the next generation. Under scenario one, John Bel Edwards returns as Louisiana’s governor; so what will we expect? First, as to policy, we should not expect very much. His only three accomplishments during his first term were his unilateral acceptance of Medicaid expansion, his co-opting of the Pelican Institute’s Justice Reform package, and his increasing of taxes to all-time highs. He has delivered nothing positive or innovative on education, infrastructure, tort reform, economic development, or any other traditional state priorities. Not only has he delivered nothing, he has not even suggested any policy positions or ideas. So on policy we may expect little to nothing to change. As a philosophical leader we absolutely know what to expect. Governor Edwards is a tax-and-spend liberal Democrat in the mold of Huey Long. I cannot imagine anyone believing otherwise and therefore on a philosophical level, if he is re-elected, that is what we must expect. He does a great job of political theater by holding himself out to be a moderate in a world of radical leftist Democrats because he advertises as pro-life and claims to be pro-gun. But despite these two positions his philosophy is exactly the same as those that preceded him, a philosophy that has left us last in everything. 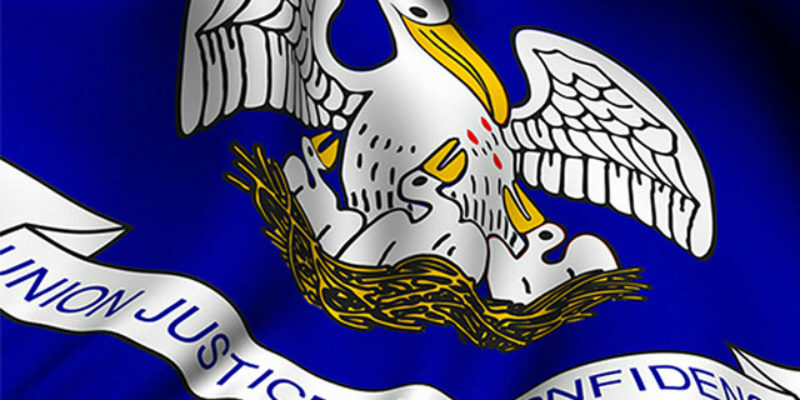 Re-election of Governor Edwards will ensconce a number of really bad government practices. By example we all know that his major donors are trial lawyers and nursing home operators. We also know that our insurance rates are astronomically higher than other states as we see more litigation and the insurance companies pay out more questionable claims than most states. We also know that the elderly are being forced into nursing homes instead of, if they are able, being allowed to stay at home under the state’s Medicaid plan. Despite the egregious nature of these and other state practices benefiting in these cases only the trial lawyers and the nursing home operators, the governor will continue to side with his campaign donors over the best interests of the citizens. Re-election will lock in odious practices that we all know have to be weeded out. Finally, there is the issue of the politics of running the state. It is widely held that legislative elections in the fall will result in a turnover in both Houses of the Legislature, the result of which will be that they become much more conservative and much more polar opposite to the governor’s tax-and-spend liberal policies. In simple terms that translates into gridlock. Re-election of John Bel Edwards and the expected election of growing conservative blocks in the legislature fairly well assure at least four years of no-progress government. The media, always highly sympathetic to the governor, will declare that “Washington style politics” have overtaken Louisiana, but in reality it will be that the majority of people, represented by the Legislature, just do not want Huey Long populism or even worse, current national Democrat Party policies to take root in our state. In the second scenario, the one in which a conservative Republican is elected to be governor, the consequences could be far more advantageous. First, no grid-lock; there is no doubt that the Legislature and the governor will work closely to advance an agenda that places the prosperity of Louisiana’s people above all else. Next a philosophical sea change in Baton Rouge as hasn’t been seen before. Suddenly we would have a governor whose beliefs are rooted in conservative principles and not aligned with big-government, high-tax policies akin to “share the wealth.” Now the ingenuity and drive of Louisiana’s people will be uncorked and we will see economic prosperity replace economic misery. As to policy we would see a whole “new” Louisiana based upon best practices and a move away from doing things the same old way just because that is the way we always did them. We would see policies designed to be efficient and effective instead of politically astute. Suddenly a new word would appear in Louisiana’s political lexicon, priority. Instead, as we have been doing for Governor Edwards’ entire first term, of just struggling to maintain the status quo we would see a real strategy to make Louisiana the top state in the south. This would be a strategy based upon education, infrastructure, economic development, smaller government, and more freedom for Louisiana’s people. So there it is; a tale of two choices that have significantly different outcomes. Our people can choose more of what we have experienced for generations or they can choose a different path that would lead to a more prosperous future. This will be a simple but consequential choice. Good luck fellow citizens, if we make the wrong choice perhaps decades from now we might get another chance.